GBA believes that a uniform is an integral part of a safe and effective school environment, and that modesty is something that should be modelled by all. All pupils are required to wear the school uniform unless the school authorises special ‘non-uniform’ days. Jewellery will not be allowed for both girls and boys. Make-up and nail polish in school is not allowed. A wristwatch may be worn. Long hair for girls must be neatly tied to the back. For boys, haircuts are to be short and tidy. 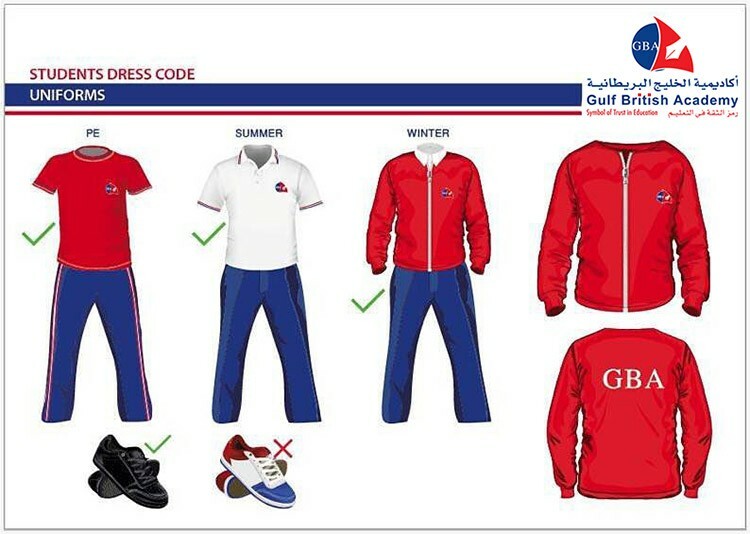 For all pupils there are two uniforms; one for academic classes and another for P.E. classes. 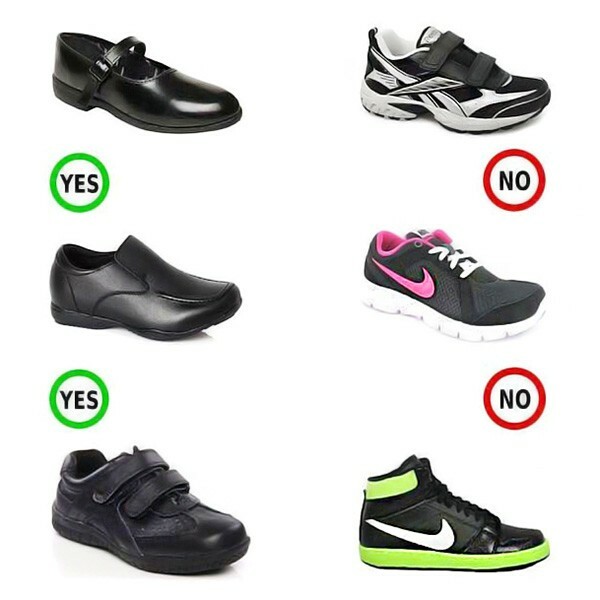 Pupils must wear their P.E. uniform to school on the days when they have P.E. Parents are advised to add/sew their child’s name on their clothing. School uniforms are available from our well-stocked uniform shop, which is open from 07:15 to 14:00. Prices for each item are stated below and can also be found on our admissions and fees page. The summer uniform will be worn from September to the end of October and from April to June. The winter uniform will be worn from November to March. Black shoes must be worn at all times. On P.E. days, pupils will be allowed to wear trainers. Please note that colourful trainers will not be allowed for everyday wear.